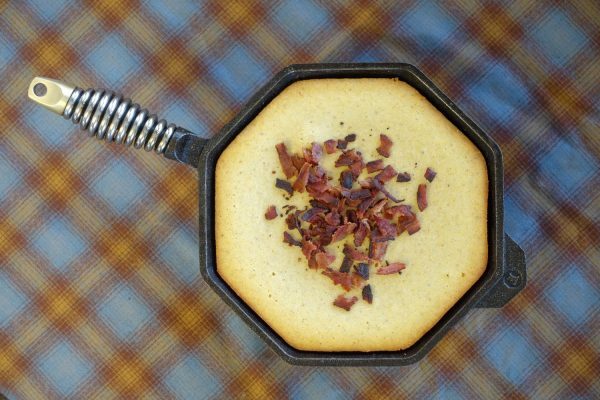 Bacon Molasses Cornbread Recipe | FINEX Cast Iron Cookware Co. There might be a million different kinds of cornbread out there but most of them cook better in cast iron. This recipe, from Portland chef BJ Smith, is no exception. Sweeter and more cake-like than traditional southern cornbreads, it nonetheless nods to southern roots by including a hint of molasses and couple cups of buttermilk. While it cooks well in any FINEX cast iron skillet, we made it in our 10″ and recommend that size as a great place to start. Combine and mix the flour, sugar and salt in medium sized bowl. 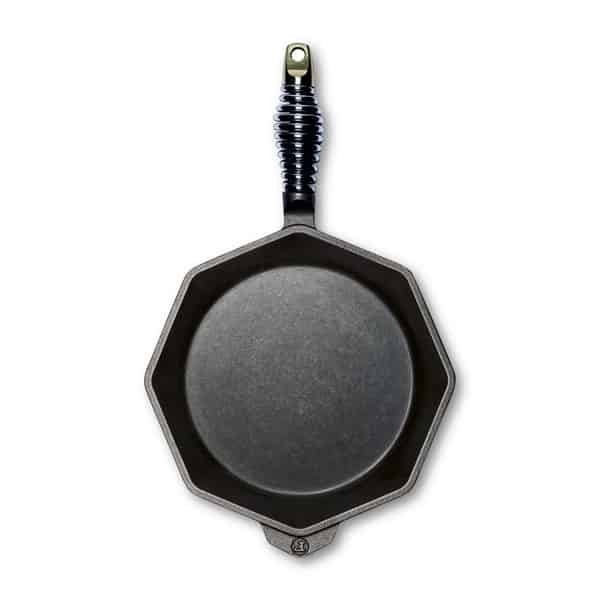 Melt butter in your FINEX cast iron skillet. In a separate bowl mix the baking powder with the buttermilk. Add the melted butter, then the eggs, honey and molasses. Add the dry ingredients and mix until there are no lumps. 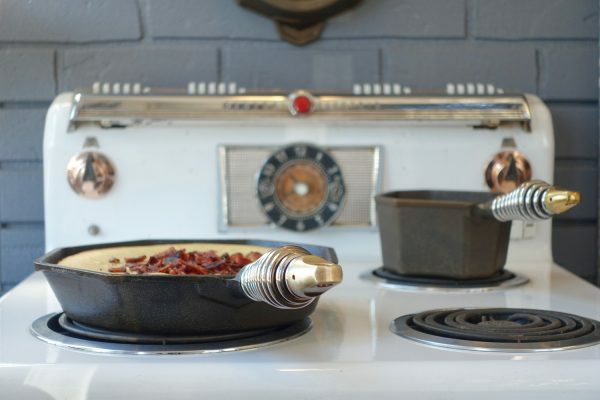 Pour into skillet, top with raw bacon lardons. Bake and 350 degrees for 30-35 minutes. Let cool for 10 minutes before serving.Enjoy!